Our office in Bournemouth overlooks a small walled garden. I visited it the other day and was stunned by the show of wonderful honey scented flowers of the Choisya × dewitteana ‘Aztec Pearl’. The leaves of ‘Aztec Pearl’ are narrower than that of the basic form of Choisya ternata but has the same astringent scent from the foliage, especially in strong sun. 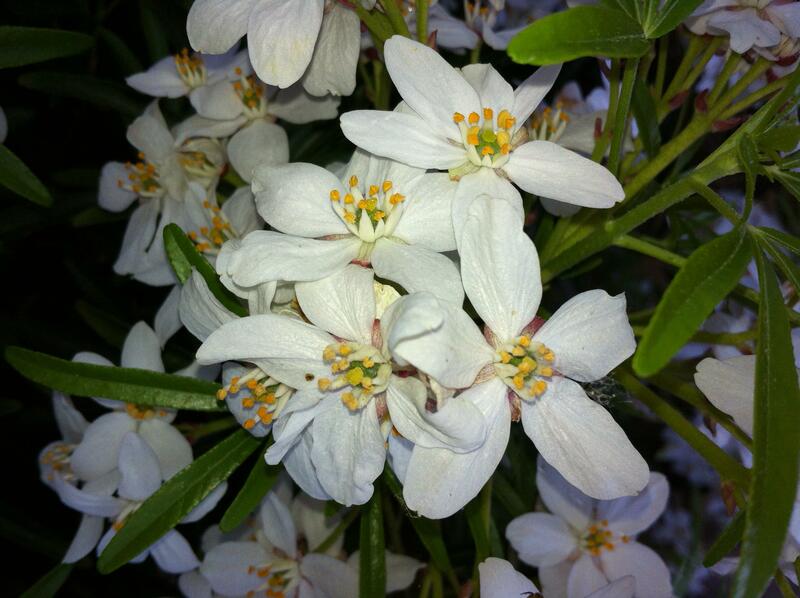 ‘Aztec Pearl’ is more compact than Choisya ternata, growing to a maximum of around 2m. This quality and its attractive evergreen foliage makes it a very useful shrub for mixed beds. It is very resilient and will successfully grow in full sun or in partial shade. 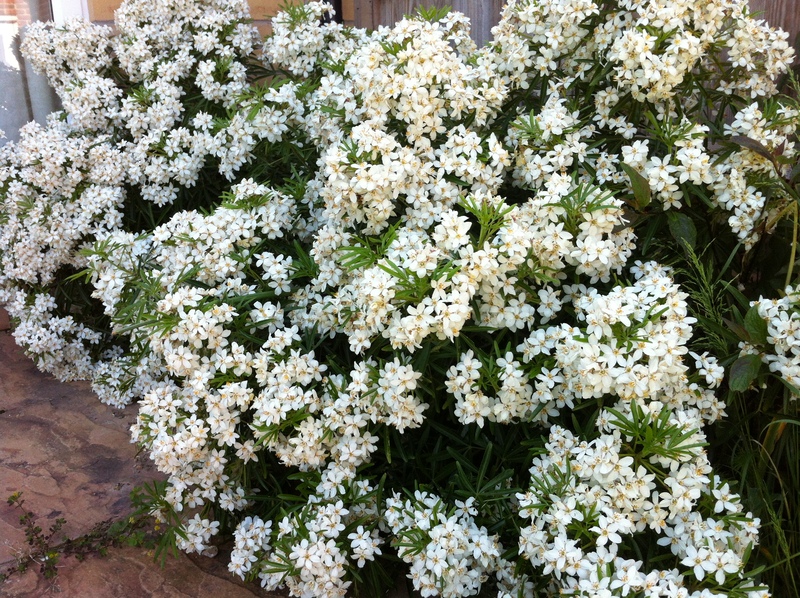 Due to its vigorous growth, it, like all the common Choisya varieties can be used as hedging. The clusters of dense white flowers bloom from early May and throughout June and in a sunny position can have a second burst of flowers in late summer. They are great plants for attracting bees and other pollinating insects.